NewsBeat University of Washington Health Sciences issued the following announcement on May 25. In the study of 163 patients, 90 percent of those assigned to the smartphone app used it at least once, while 58 percent of those assigned to the clinic treatment went to at least one group therapy session. The biggest advantage for most patients is convenience – mental healthcare whenever and wherever they needed it. The authors said it was the first randomized controlled trial that they know of to examine a smartphone intervention’s value for people with schizophrenia spectrum-disorders. 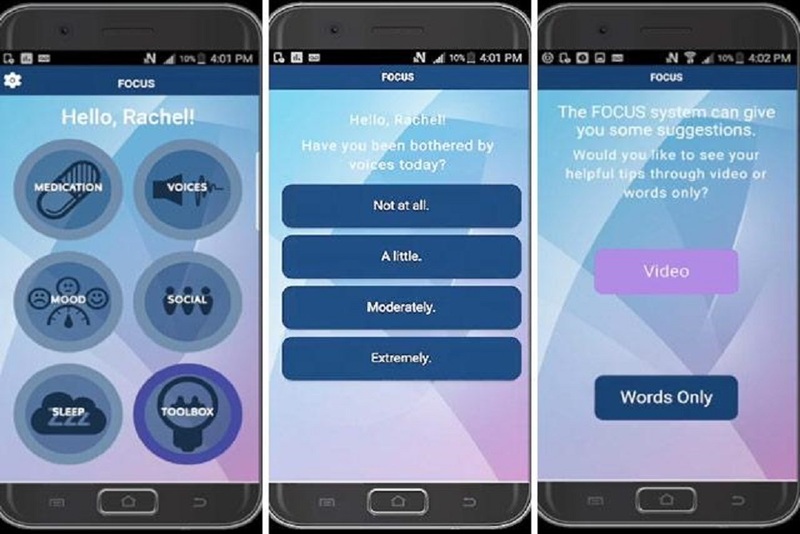 The phone software, called Focus, addresses auditory hallucinations (“hearing voices”), mood problems, sleep, social-functioning problems, and medication use. Among the 163 participants, 49 percent had schizophrenia or schizoaffective disorder, 28 percent had bipolar disorder, and 23 percent had major depressive disorder. On average, the participants were 49 years old, 59 percent male and 65 percent African-American. Participants gave high satisfaction ratings of both interventions, saying both were approachable, enjoyable and helped them feel better. The trial was conducted between June 2015 and September 2017 in partnership with Thresholds, an agency that provides services to Illinois residents with serious mental illness. Interventions were provided for 12 weeks. Assessments were conducted at three months and six months. Participants were considered engaged if they used the app five of seven days and if they attended at least 60 minutes of the 90-minute group intervention at least once a week or completed a makeup session. Serious mental illnesses affect approximately 4 percent of the population. With appropriate supports, people with serious mental illness can lead rewarding and productive lives, the researchers wrote. But when individuals need illness-management the most, they often avoid getting help at a clinic because of their fear of being labeled mentally ill and stigmatized, or because of difficulty getting to a clinic. The study supports the notion that mobile health can play an important role in 21st-century healthcare, said the authors, who were funded by the Patient Centered Outcomes Research Institute (PCORI).